Russia : Russia on Friday honoured PM Narendra Modi with the Order of St Andrew the Apostle, the country’s highest state decoration, for his "exceptional services" in promoting the strategic partnership between the two countries. 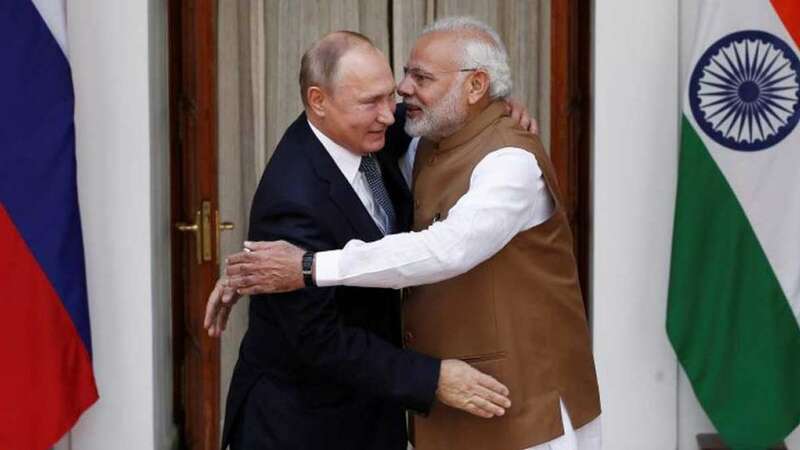 President Vladimir Putin signed the decree on decorating Modi with the award for his “distinguished achievement in development of the special and privileged strategic partnership” between India and Russia and the friendly ties between the people of the two sides, according to a statement from the Russian embassy. The award from Russia comes a couple of days after the UAE had announced its highest civilian honour, the Zayed Medal, to Modi for his pivotal role in boosting the strategic relationship between the two countries. Prime Minister Narendra Modi thanked Putin and Russians for the honour. He tweeted, "Foundations of India-Russia friendship are deep & the future of our partnership is bright." The award was originally established in 1698 but it was abolished during the communist era, before being re-established in 1998. Since then, it has been conferred on 18 people, most of them Russians, such as AK-47 designer Mikhail Kalashnikov, former president Mikhail Gorbachev and author Aleksandr Solzhenitsyn. Among foreign recipients of the award are China’s President Xi Jinping and former Azerbaijan president Heydar Aliyev. Prime Minister Narendra Modi has received a total of seven international awards since his inception as premier of India in 2014. The others are the Zayed Medal of the UAE (2019), the Seoul Peace Prize, UN Champions of the Earth Award, Grand Collar of the State of Palestine (all in 2018), Amir Abdullah Khan Award of Afghanistan and King Abdullaziz Sash of Saudi Arabia (both in 2016).